Life seems more fun when you have a friend by your side, doesn’t it? Good friends can’t always come along on new adventures everyday, but a very cool new invention from Japan’s Yamagata University could let friends from all over the world spend quality time with you every day. The MH-2 (the “MH” adorably stands for “miniature humanoid”) is a small telepresence robot that lets a distant person share experiences in real time with the wearer. 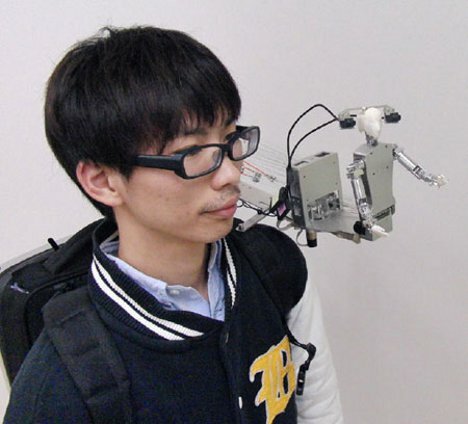 The little robot sits on the wearer’s shoulder, attached to a heavy-looking backpack. 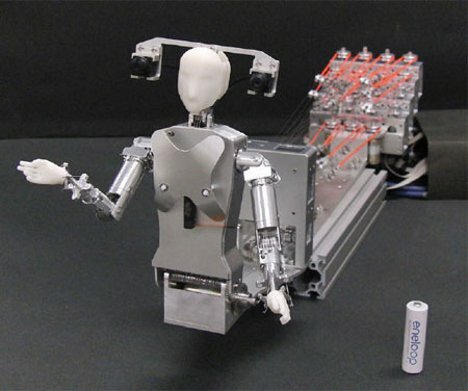 The robot is capable of making incredibly human movements, and even appears to breathe. 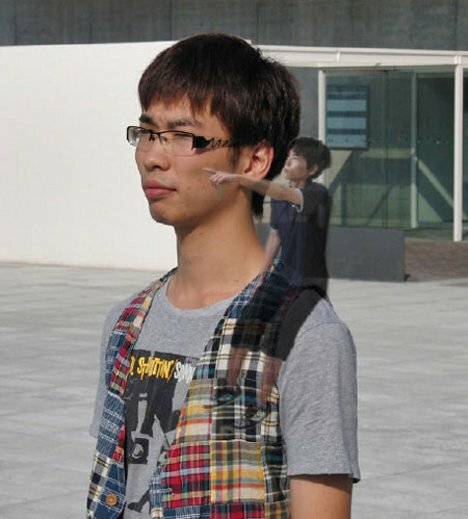 A friend in a remote location wears an immersive virtual reality-type getup, complete with motion capture so that gestures can be accurately expressed through the shoulder-bot. The friend can see and hear everything that’s happening where the bot and the other person are, making the experience an incredibly realistic one. Although the current system looks a little like an exterminator’s getup, the creators are aiming for something that looks a little more like this: a hologram perched on a shoulder. Now if they only add a bot to the other shoulder, give one a pitchfork and the other a halo, we’ll finally have a reliable decision-making tool to replace our broken Magic 8 Ball. See more in Robotics or under Technology. June, 2012.